This is the standard length version of the 27,000 pound four post lift.  These are extreme duty lifts built for the busy garage or fleet service bay. BendPak's HDS Truck series four post lifts are engineered beyond traditional industry standards. They are engineered, designed and fabricated to last longer, provide better performance, and increase safety, productivity and the overall user experience time after time, day after day, every time you lift a vehicle. The HDS-27 four post lift is the extended length model. The BendPak HDS-27 truck lift is ALI and ETL Certified. The BendPak HDS Truck Series 4 post lifts are engineered by professionals, for professionals, and are made to meet the needs of even the most demanding automotive garage or fleet service facility. Bend Pak designed the HDS heavy truck four post lifts tough, with a wide range of innovative features to provide the serious auto shop owner with the best value for the money.They offer numerous models ranging from 18,000 lbs. capacity all the way up to 40,000 lbs. They also offer extra long models for maximum versatility. The competition will tell you there's no difference, or that their lift is just as good, but don't let them fool you. Others may tell you that the BendPak lift is overbuilt, and that you don't need to pay up for this type of construction. One look at the long list of features and components, and you'll be convinced that BendPak is the right choice for you. BendPak's engineers believe in doing things the right way. Look for BendPak lifts to offer maximum durability, longevity and greater performance - with every single lift. And they pay keen attention to detail. Rest easy with the confidence that you can improve your productivity and not worry about down time and safety. These four post lifts are true commercial grade hoists with all of the features and quality a professional could want - or demand. Professionals have been counting on them for over 45 years for all of their lifting needs. Dual hub cable sheaves Extra large 12" diameter cable sheaves integrated in the runway and cross tube members along with extra large 4" diameter sheave axles reduce cable wear dramatically to help increase the longevity of all working components. This means less wear expenses and maintenance costs over the life of the lift. So even if that bargain brand lift cost you less money up front, it will cost you more in the long run. Heavy duty aircraft cable BendPak four post lifts include four large diameter 6 x 25 stainless steel premium grade lifting cables. This specific grade of cable was chosen for this application because of it's ability to resist corrosion, fatigue and wear. Lubrication Integrated in Grease fittings are included throughout the lift and are located on every sheave axle to ensure that they are well lubricated and they will run smoothly over the life of the lift. Simply inspecting and lubricating at regular intervals ensures that the product will last and continue to perform over the course of many years. Hydraulic Cylinder Hidden Don't worry, the large cylinder is conveniently located up underneath one of the runways, so as to not interfere with any operational aspects and functionality of the lift. It is constructed of premium grade steel tubing exceeding ASTM specifications to ensure durability. And because it's tucked underneath one of the runways, it also keeps it safe from exposure and potential damage. The cylinder piston is a pilot fitted, single piece machined piston with high durometer mechanically loaded rod seals. The cylinder seals and cups greatly reduce potential for leakage, and the chrome rod is precision machined and polished of C-1045/50 micro alloy steel with the ultimate plating process for maximum cylinder life. The materials and attention to detail in the manufacturing process assure you of the greatest possible longevity for your investment. Flow restrictor A hydraulic flow restrictor is integrated into the system to provide a precise and controlled descent in the very unlikely event that the hydraulic hose were to fail. Durable Powder Coat Finish can withstand the most harsh environments, chemicals and abuse. They perform the most comprehensive powder coat process available. First, parts are cleaned in 5 stages of phosphate bath tanks, and then immediately flash dried to prevent corrosion. All threaded holes and other surfaces are plugged and masked with high temperature tape and plugs and then wiped with thinner for purposes of removing any fingerprints and debris prior to final electrostatic conveyor line. After Parts are are coated with the spray gun, they are then moved along to the oven for curing, where they are baked at 400 degrees F. for 45 minutes. No other auto lift manufacturer pays so much attention to detail when fabricating their products. Large steel base plates are 12" x 12" and provide for a solid base for the four post lift. Spring-loaded safety locks Engage automatically continuously during lifting process for maximum safety and the adjustable safety ladder locking system allows you to adjust or modify the locking position if your floor happens to be uneven. Push-button pneumatic lock release Allows you to release the safety locking mechanism quickly and easily and improves safety and reliability by greatly reducing the potenial for a lock getting stuck. 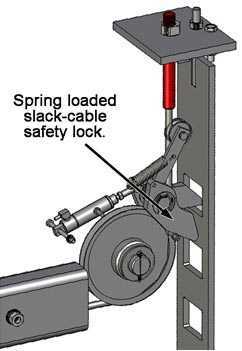 Secondary locking system A secondary slack cable lock system is always ready to instantly engage in the highly unlikely event that a cable were to brake. Integrated design All working components are safely enclosed within the working structure of the auto lift - including cables, pulleys, airlines, safety latches and other working components. Adjustable locking positions Each of the 4 columns has infinitely adjustable locking positions to help level out your lift if your floor is uneven. Electric hydraulic power system A Premium electric / hydraulic power system is maintenance free and assures ultimate reliability and minimizes downtime potential. All controls are easily within reach of operator. Non-skid runways allow for maximum traction , eliminating slippage even on wet or oily surface. Approach ramps are nice and long to minimize potential for bottoming out on low profile cars and feature rear wheel chocks that automatically engage when the lift is raised. Runways are built extra wide to allow greatest capability. Longer approach ramps were designed to be a little longer than competitors aiding in getting lower profile automobiles to get up on the runways without bottoming out. Flexible protective conduit All airlines and Hydraulic hose lines are routed through a flexible and protective conduit to minimize potential damage and down time. Oversized cable sheaves are 12" in diameter - which extends cable life. Note: An air supply (minimum: 30 psi / 3 CFM) is required for the safety-lock mechanisms to disengage. It is solely the responsibility of the end-user to provide, install and maintain the air supply. Here are five questions you must consider before buying that bargain-lift! the manufacturer's reputation? Are their manufacturing facilities and equipment state-of-the-art? polyethylene load bearings. They never need lubrication and last virtually the life of the lift. for over forty five years. the highest quality ASTM steel - only the best. Are the posts manufactured of single-piece construction? If they're not, you're sacrificing strength. BendPak's base plates are an extra thick steel plate. or two, but you will shortly after the warranty expires! safety. Only lifts approved by ETL and ALI (Automotive Lift Institute) will have this feature. and tested by anybody but ALI. ALI is the industry standard and the recognized industry watchdog. ALI and ETL approved lifts must conform with the most strict international safety and quality standards. when they discontinue this model? Will parts still be available years later? Usually not. customer's vehicle, you're losing money! Think smarter. Think long term. Think Bend Pak.